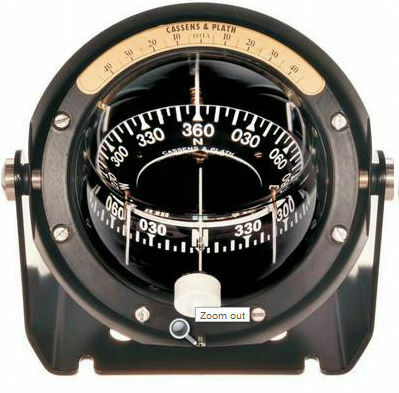 Cassens & Plath spherical magnetic compasses have been designed for professional coastal navigation, for larger yachts as well as in special types for navy speed boats. Resistent against shock and vibration. Accuracy, temperature and dynamic characteristics meet international standards. A certificate based on individual testing of every instrument grants the high quality of all our products.